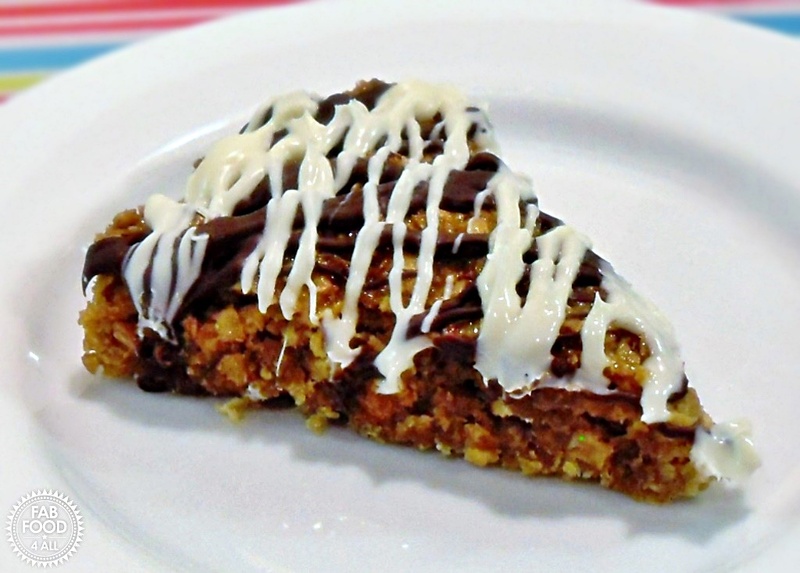 You are here: Home / Cake / Chocolate Drizzle Flapjacks – deliciously chewy! 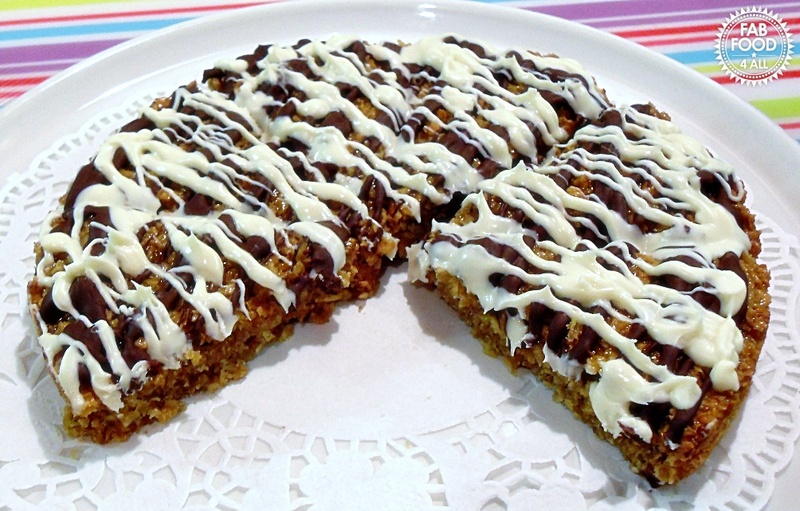 Chocolate Drizzle Flapjacks – deliciously chewy! Today I’m sharing with you Chocolate Drizzle Flapjacks! I can’t actually remember the first recipe I ever made but if I was a betting person I think it would be Flapjacks from “Learnabout… Cooking” by Ladybird Books. This was my first ever cookery book and cost the princely sum of 24 p. I’m sure I would have made the Jam Tarts and Shortbread from here too! I stumbled across this book in my daughters room the other day and suggested we should make something from it. Hence we gave the Flapjack recipe a tweak with some soft brown sugar and added a chocolate drizzle decoration as we are all chocoholics in this house. I’d never made my own piping bags before but decided that from experience, using the daub with a spoon method was not going to be pretty enough. Armed with my can do approach and a bit of logic the piping bags worked really well. I’d use this method again as they took no time at all to put together and the effect they gave was fab. 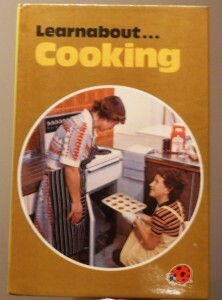 They don’t make books like this any more! 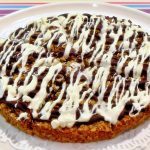 We really enjoyed these Chocolate Drizzle Flapjacks as unlike a recipe I have used in the past they are not brittle and have a nice chew to them which together with the chocolate topping is just a yummy fudgy combination. 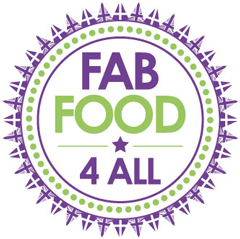 I’m entering my Chocolate Drizzled Flapjacks into Credit Crunch Munch as oats are really cheap and I also used value chocolate which costs only 30 p. This challenge run by myself and Helen at Fuss Free Flavours and being hosted by Janice at Farmersgirl Kitchen this month. I am also entering the “Walk Through Memory Lane” event started by Gayathri’s Cookspot and being hosted this month by Nivedhanam as this recipe is vegetarian and a huge trip down memory lane. Next I am entering Javeline Warriors Cookin w/luv Made with Love Mondays challenge as this recipe is made from scratch:-) Lastly I am linking up to Foodie Quinn’s My First Cookbook post where first cook books are being remembered and celebrated:-). 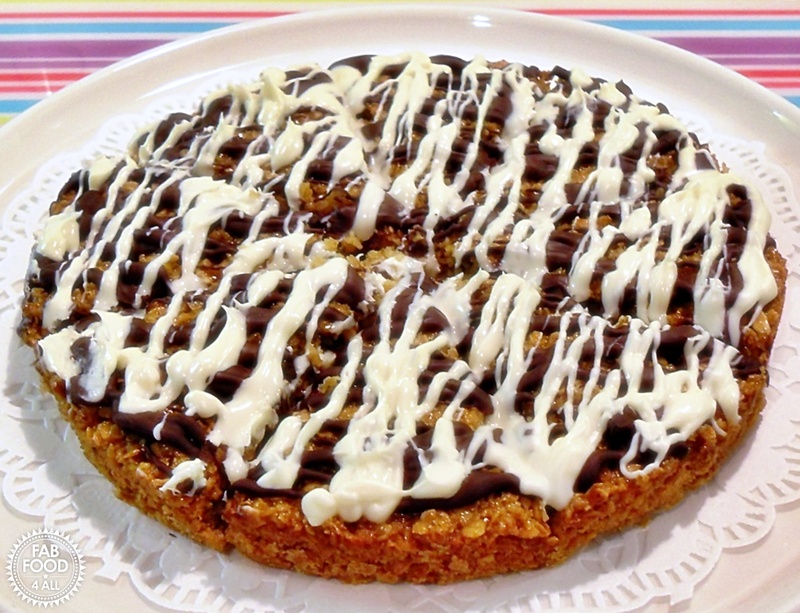 A yummy chewy flapjack drizzled with dark and white chocolate. Grease the inside of an 18cm (7”) shallow cake tin and line with baking paper. 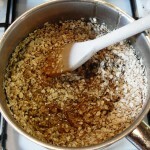 Put the golden syrup, butter and sugar in a pan over a low heat stirring until melted. Pour in the oats and salt and mix well. Put the mixture in the cake tin pressing it down well with the back of a spoon. Bake for 20 minutes or until the centre of flapjack is firm to the touch. Remove from oven and mark out portions whilst still hot. Once cool turn out onto a cooling rack. Now make 2 small piping bags out of baking paper. Tear off about 30 cm of baking paper from roll and fold in half (lengthways). Then roll into a cone shape using the centre point as the tip of the cone. Trim excess paper off and fold rim over itself to secure. Repeat. Now make the chocolate topping by first melting the dark chocolate in a bowl over a saucepan of hot water on a low heat. Spoon the chocolate into one of your piping bags and snip off the tip with scissors. Now pipe over the flapjack being as creative as you like. Repeat the above steps with the white chocolate and allow chocolate to set before serving. A brief stint in the fridge is helpful but only for about 10 mins as you don’t want the dark chocolate to go cloudly. 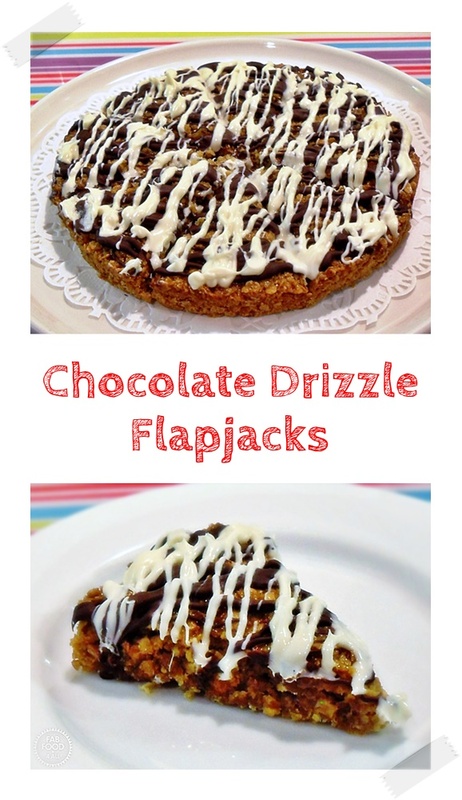 I am a huge fan of a flapjack and these ones look so good with the chocolate drizzled over the top! 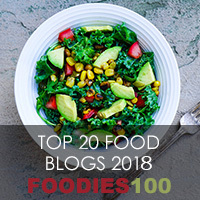 Thanks for linking to my vegan flapjacks.